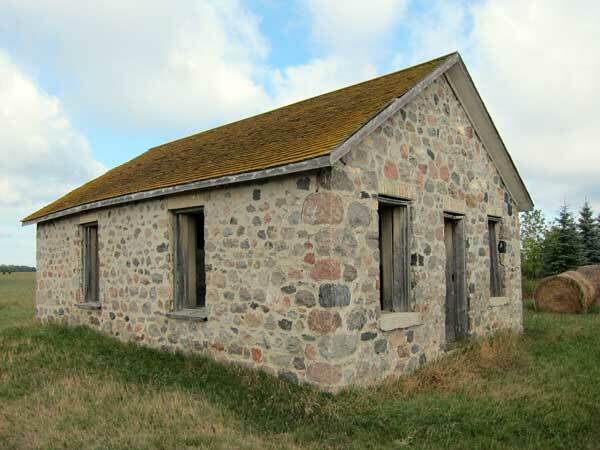 This field stone school building is situated at SE6-10-24W in the Rural Municipality of Wallace-Woodworth. 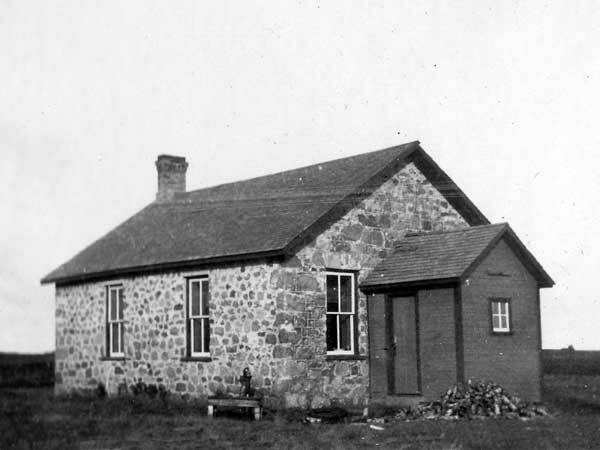 Established in June 1894 as Arsenault School (named for local settler John J. Arsenault), it was renamed in 1907. 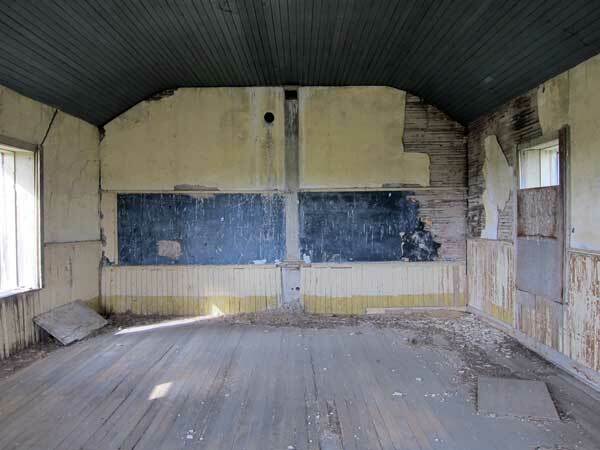 As early as 1915, students from this area attended classes at Oak Lake Consolidated School No. 439. The school closed in 1933, though the district was not dissolved until 1967. The building was a Mennonite church from 1939 to 1949. Later used as a granary, the building was vacant at the time of a September 2011 site visit. Among the teachers of Pleasant Plains School were Miss Therin, Miss M. Jamieson, Miss Helen Lucy, Miss Kate Lucy, Miss Helen Lucy, Miss Jopp, Montague Shore, Miss Aggie Smythe, Miss Kate McFarlane, Miss Jefferson, Miss May Goodwin, Agnes Scott McQuarrie, and Miss Ethel Scott (1931-1933). GR8461, A0233, C131-2, page 5. Source: Archives of Manitoba, Architectural Survey - Woodworth RM 1. 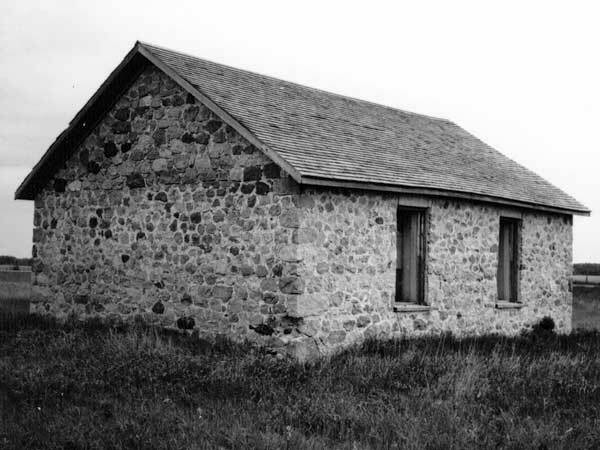 Source: Archives of Manitoba, Architectural Survey - Woodworth RM 2. Proudly We Speak: A History of the Rural Municipality of Woodworth, 1878-1967 by Dorothy Vipond. Kenton: Woodworth Centennial Committee, 1967, pages 110-111. Ox Trails to Blacktop by Oak Lake History Committee, 1982, Manitoba Legislative Library, F 5649.O23 Oxt. 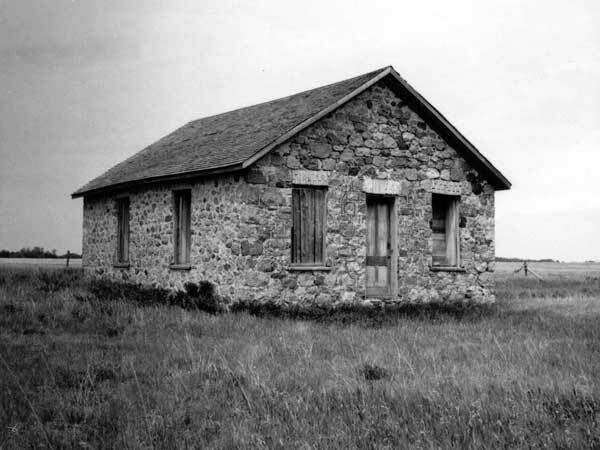 Manitoba School Records Collection, Beatrice School District No. 819 Daily Registers, GR0466, Archives of Manitoba.